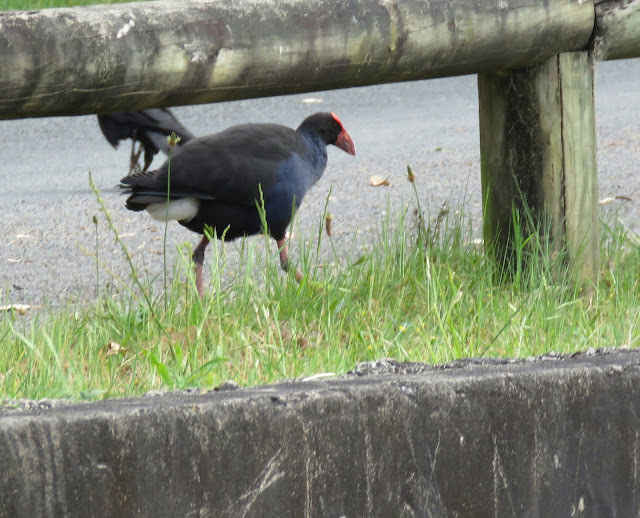 We can ID the adult bird as a Australasian Swamphen by its large red bill and shield, red eyes, orange-red legs, black head and nape, dark gray upperparts and purple-blue neck and chest. 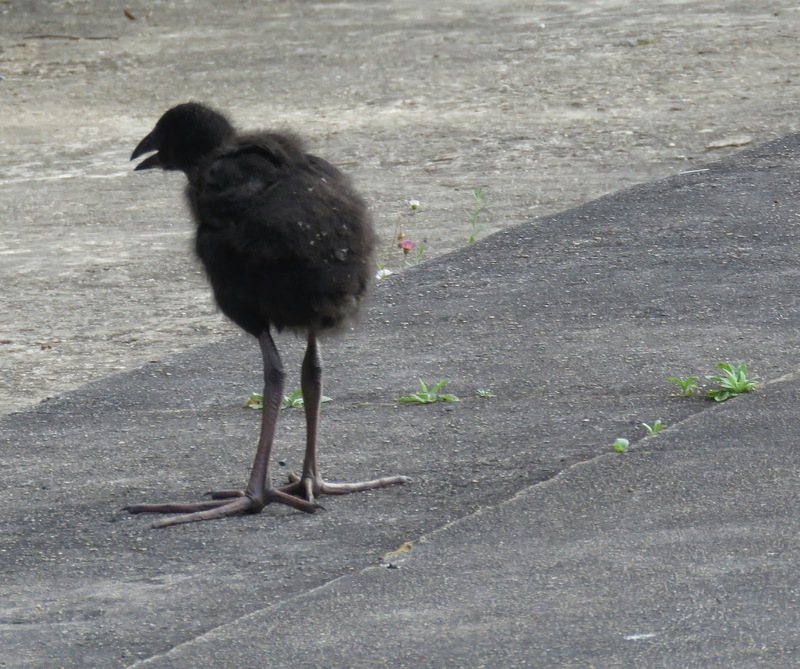 This swamphen use to be a subspecies of the Purple Swamphen, but has been upgraded to a full species. 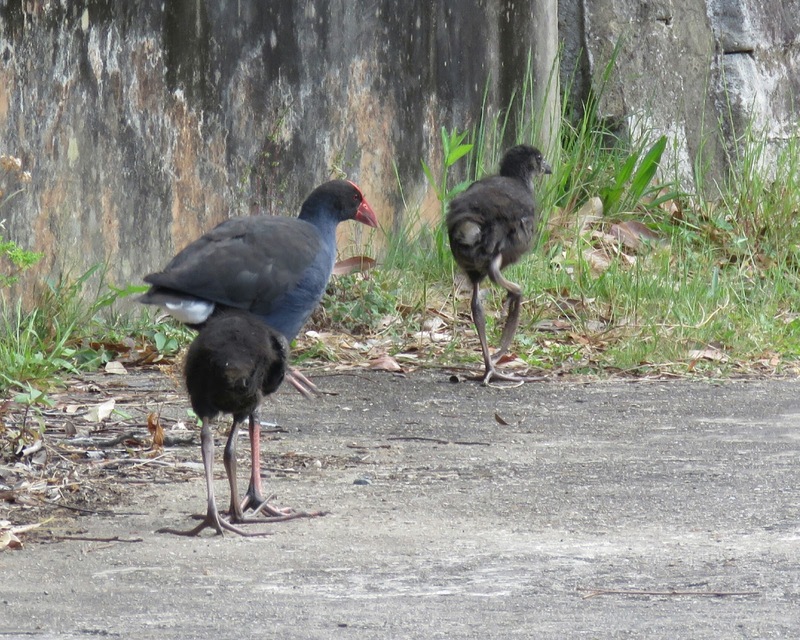 The Australasian Swamphen is a new species to our Photographic Life List, which now stands at 614.